Hamnavoe is the inner part of the inlet at Stromness in Orkney, from which the Northlink ferry of the same name sails to Scrabster on the north coast of mainland Scotland. The shore on the east side, opposite the town itself, is made up of flattened beach stones which can be seen wherever the blanketing seaweed allows, They are mostly Devonian rocks including the local Lower Stromness Flagstones, many of which have interesting patterns which are thought to be infilled ancient mud cracks. The flagstones originated on the bed of a vast freshwater expanse called Lake Orcadie. and when the lake bed sediments were temporarily revealed by lower water levels, they dried out and cracked in characteristic patterns. The crevices were later filled up with new fine sediments that accumulated when the water levels rose again. It is these natural patterns that are preserved in the rocks we see today. Some of these rocks look like they have been had patterns painted on them by human hand, lovely. They are beautiful, aren’t they? I really liked finding these natural works of art. 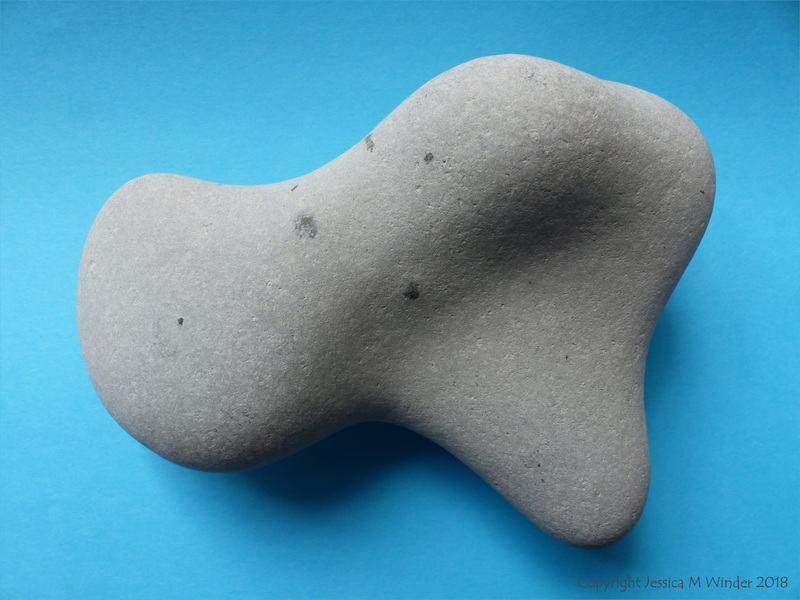 On many beaches I see rocks that remind me of works of Henry Moore and (less so) Barbara Hepworth. I know what you mean, Emma. 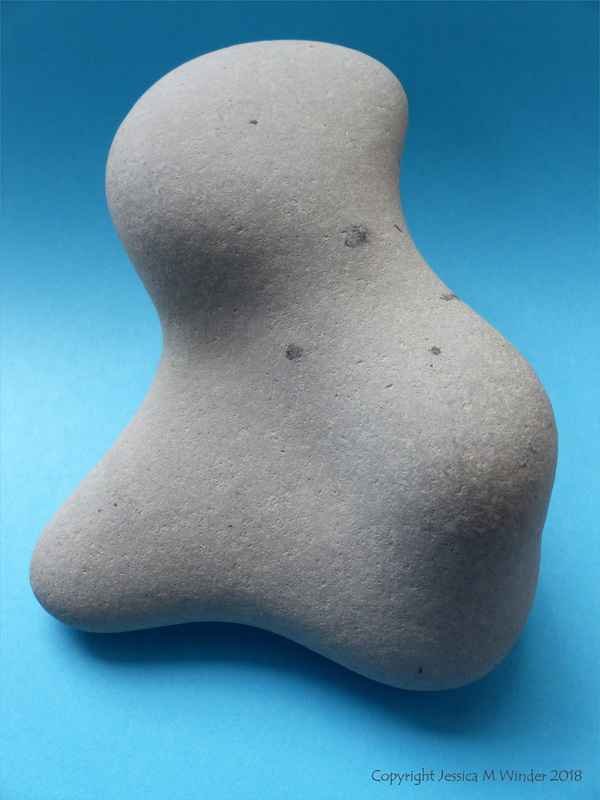 Here are some pictures of a beach stone I found many years ago. 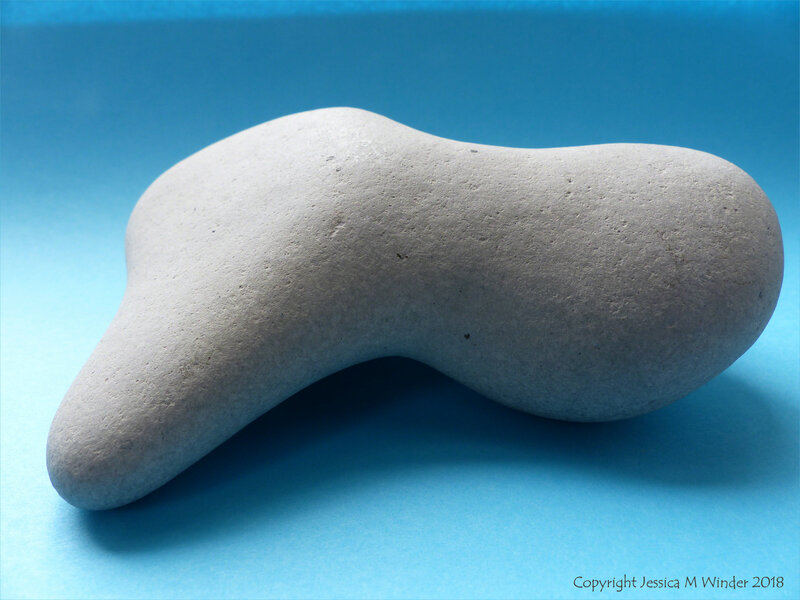 I photographed it from different angles and it reminded me a lot of a Henry Moore’s work although it was just a work of Nature.